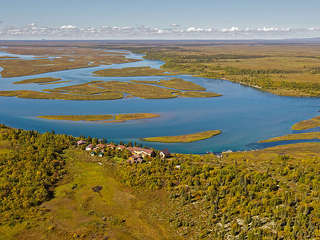 In the heart of Alaska’s Bristol Bay region just off the Kvichak River near Lake Iliamna sits the Alaska Sportsman Lodge. 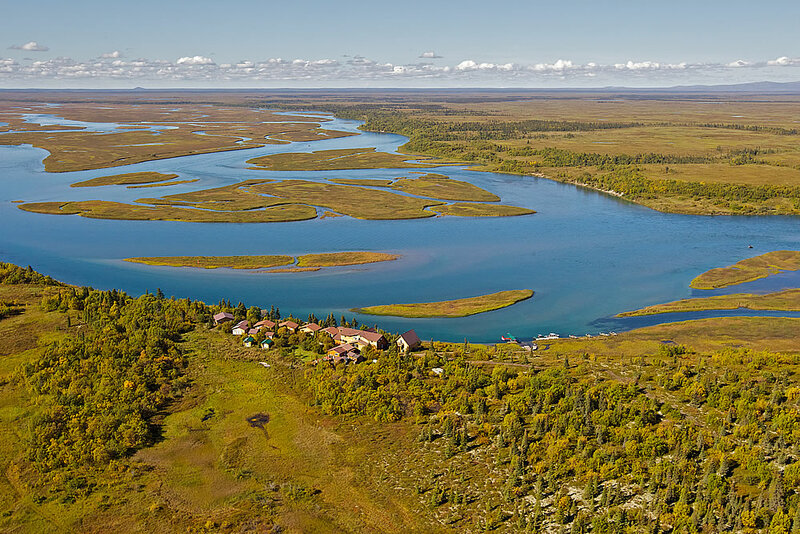 If you are looking for the ultimate in all-inclusive Alaskan fishing trips, the lodge offers the perfect retreat from a day of fly fishing and experiencing the wonders offered by this beautifully rugged landscape. 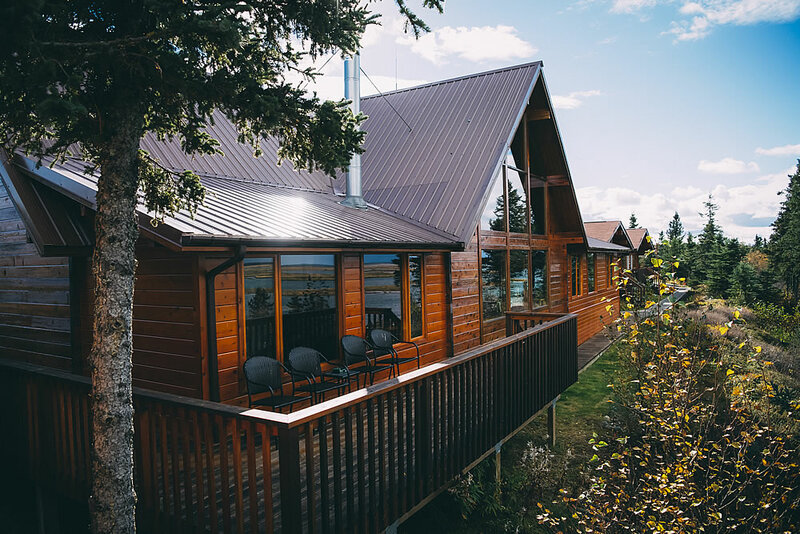 Our beautiful Alaska fishing lodge consists of a 3,500 square foot solid cedar chalet style main lodge, three duplex cabins for guests, the “Iliamna” guest cabin, and a wood burning sauna. 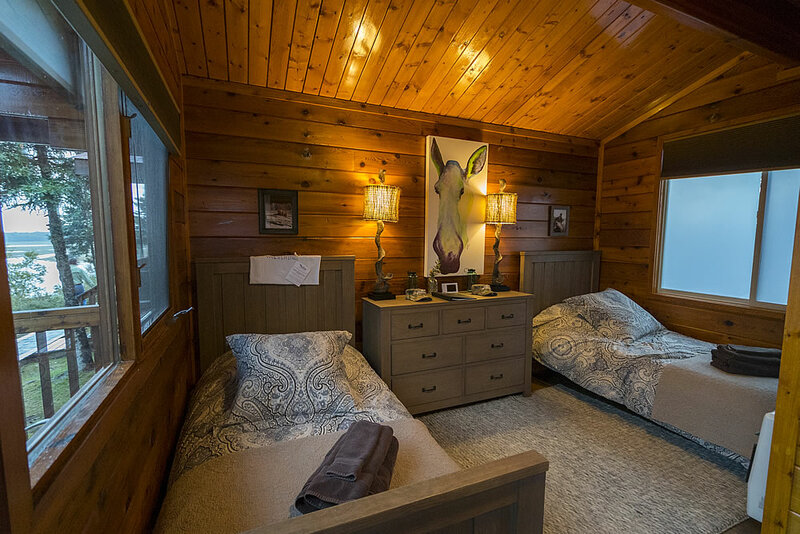 The lodge will accommodate 20 exclusive guests per night and all the cabins have hot and cold running water and 24 hour a day electrical service from our generator plant. 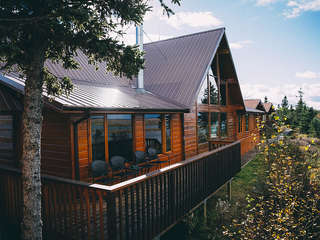 Though you will be in the heart of the Alaskan wilderness, you will not lack for any luxury accommodations. The main lodge has a hardwood floored dinning room; a comfortable living room with a fireplace, couches and rockers; a wet bar; a fly tying area; a tackle/guides room; a loft with a reading area and map room; and a laundry room. The all-inclusive main lodge is spacious enough for all of the guests to stretch out and relax; yet it is intimate enough to enjoy the camaraderie of fellow guests and guides. 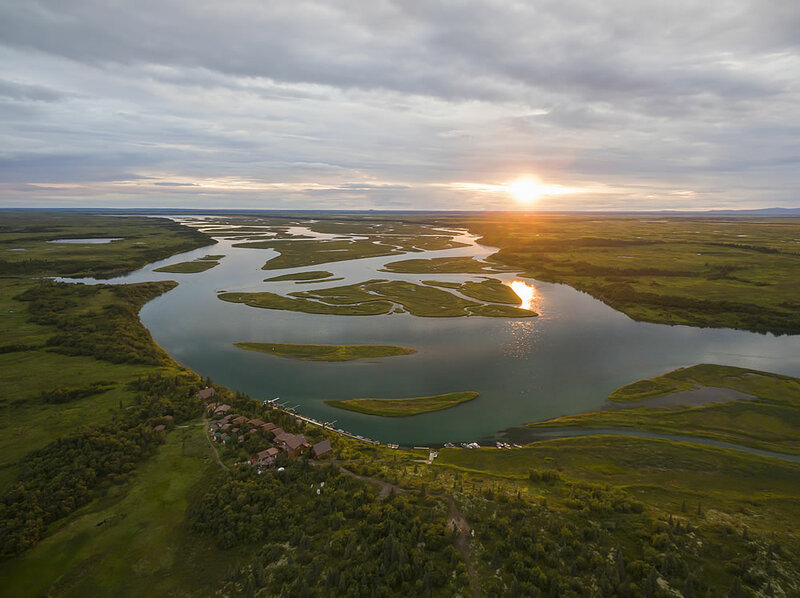 The guest cabins were designed for comfort and all have breathtaking views of the Kvichak River. Each double occupancy room is complete with a private bathroom, shower, and two very comfortable beds with linens, and comforters. Each day your room will be cleaned by one of our staff members. A boardwalk that runs from the floating dock up to the main lodge connects the entire lodge. The Iliamna cabin will comfortably sleep four guests. 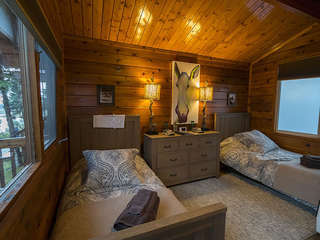 This cabin has it’s own living room, loft with a reading area, a kitchenette, and a private bath. This elegant fly fishing cabin is perfect for a family of four, two couples, or a business trip of four associates. 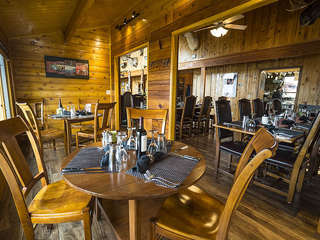 Sit back and enjoy the rustic elegance and amazing views from the deck of the main lodge or your private cabin after an exciting day out fishing on the Alaskan rivers that closely surround the lodge. 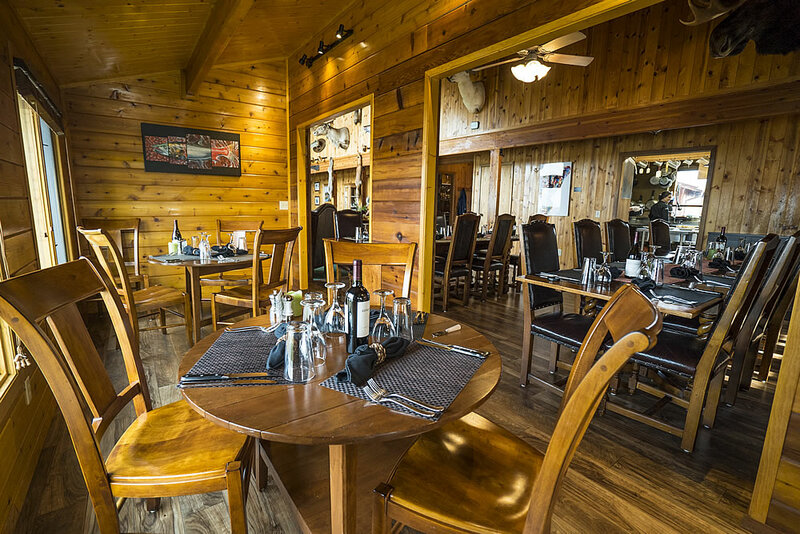 As you soak up the unique and peaceful Alaskan wilderness, know that you will be served a sumptuous dinner prepared by the lodge chef that will satisfy your appetite and provide the energy you need for your next day on the fishing on the Kvichack river. Throughout your stay, you will continue to experience the culinary delights offered by the lodge, a treat that rivals any five-star restaurant. 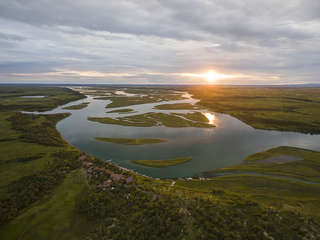 We focus on luxury as a part of our all-inclusive packages, and our lodge will not disappoint. 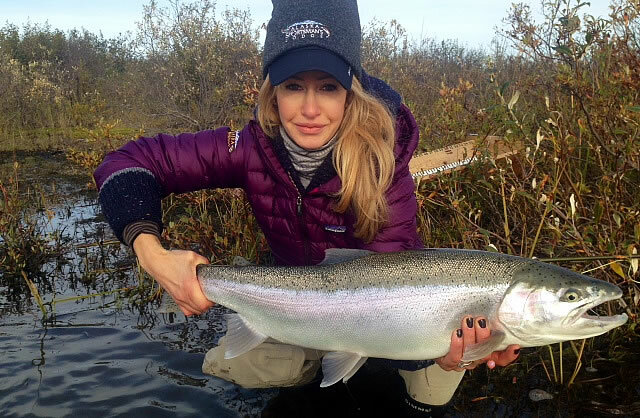 In addition to award-winning fishing, the likes that include Salmon and Rainbow Trout, the Alaska Sportsman Lodge experience includes other exciting and sensory stimulating activities you can take part in, such as river float trips, sightseeing, and bear viewing adventures. 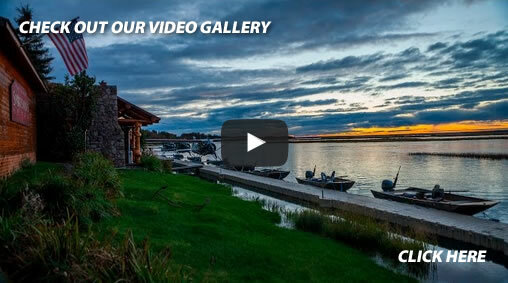 Offering the best fishing lodge in Alaska, the Alaska Sportsman Lodge combines opulence, fine dining, gorgeous views, and an experience of a lifetime.